The Dale Company manufactures and distributes custom bolts primarily for the OEM (Original Equipment Manufacturers) industry and a range of other industries. 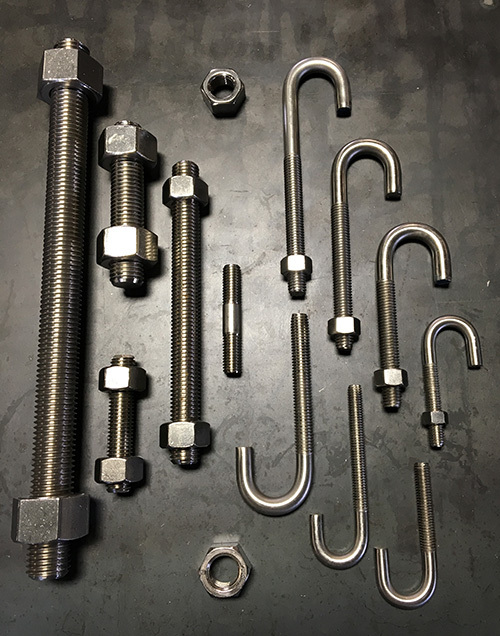 We can manufacture virtually any special Bolt, U-bolts, Anchor bolt, Eye-bolts, J-bolts, Stud bolts, Socket Head Cap Screws, Square U-bolt, Round U-bolt, All Thread Stud bolt, Double-end Stud & Single-end Stud bolt and other fastener related products required for your application with short lead times. Low Carbon Steel – Plain Finish – Hot Dipped Galvanized – Zinc Plated – Hot Dipped Galvanized Coated – 304 SST – 316 SST. The Dale Company U-bolts and Fasteners are used in wide range of industries.